As expected, Apple has today made available for download macOS Sierra 10.12 GM (Golden Master) build, which is of course the first ever Golden Master build to be seeded for the newly named macOS platform. The GM version carries build number 16A319 and represents the finishing line in a testing process that first began with the initial pre-release seed of macOS Sierra directly after the opening keynote of this year’s Worldwide Developers Conference (WWDC) back in June of this year. The issuance of the macOS Sierra 10.12 Golden Master essentially means that Apple deems the platform to be not only feature-complete, but also stable and performant enough to make it onto the iMacs and MacBooks of users in the real-world. More often than not, the released Golden Master version of one of Apple’s platforms is exactly the same build number that actually gets pushed out to the public when it eventually gets the go-ahead to go live, which in this case will be on September 20th, so this is actually the finish line for the first ever version of the macOS platform. Anyone looking to grab the free-of-charge upgrade to macOS Sierra 10.12 when it does finally go live has a lot of new features and improvements to look forward to. For those that haven’t been taking a keen interest in the macOS pre-release builds, the platform now has an excellent Siri integration that is accessible from the Dock as well as the Menu Bar. That Siri integration allow users to find files in Finder, send Messages, and even search for content on the web. Siri on the Mac is also able to control HomeKit-enabled items in the home, such as Philips Hue bulbs. 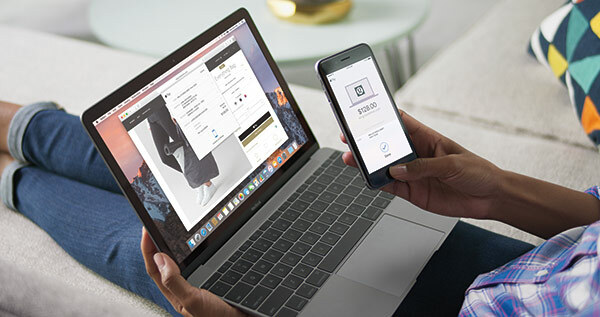 Additional features in the new macOS Sierra include Auto Unlock, which is the ability to instantly unlock a Mac running Sierra using an Apple Watch when in close proximity, as well as excellent additions like a Universal Clipboard, updates to the Photo app, and even Apple Pay for the web, among other things. For further details on the features introduced with macOS Sierra 10.12, head over to our post here. 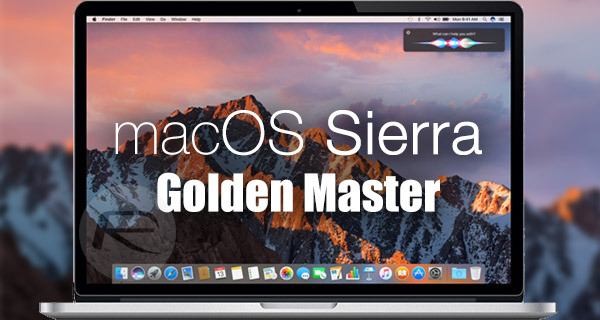 The macOS Sierra 10.12 Golden Master is available to download and install right now on all compatible Macs for those registered with Apple Developer Program. Developers and testers can grab the build as an update from the Mac App Store. First time users can download the installation file directly from developer.apple.com. A complete list of macOS Sierra 10.12 compatible Macs can be seen here: List Of macOS Sierra 10.12 Compatible Macs.